A teenager who was found dead in bushes 72 hours after she hanged herself was reported missing by her parents eight hours after she stormed out of their home, a coroner heard. 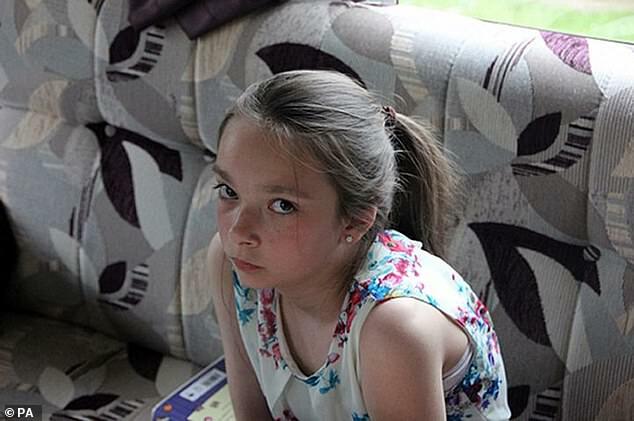 An inquest into the death of Amber Peat, 13, was told today that her mother Kelly Peat, 37 and stepfather Danny Peat, 34, raised the alarm over her being missing after they went shopping to Tesco and had dinner on May 30, last year. Amber, who had only turned 13 a month earlier and was less than 5ft tall, left the house about 5.10pm after she had been ordered to clean out a cool box. 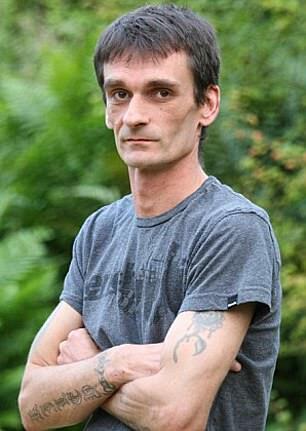 But the 13-year-old’s stepfather Danny Peat and mother Kelly didn’t contact police until 12.56am that night. On Monday, the court heard the family from Mansfield, Nottinghamshire, had returned home from a family holiday in Cornwall on the day she died and a row began over a cool box she was asked to clean. 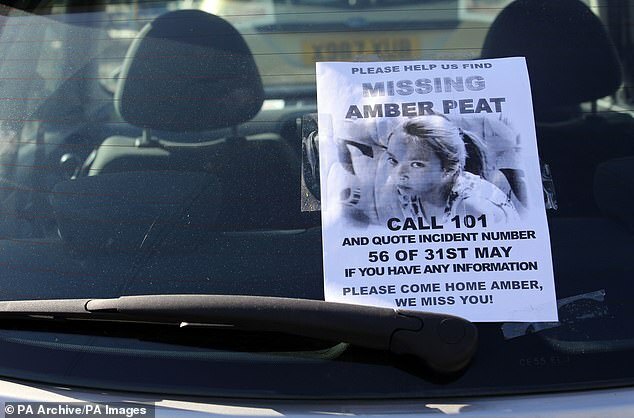 Amber – who had gone missing at least twice previously – stormed out of the house and was later reported missing. Nottinghamshire Police Detective Constable Tina Gilfoyle said that the family ‘reported having a wonderful holiday and wonderful time’. The inquest heard it was likely Amber died shortly after she was seen by a member of the public entering hedgerow at around 5.50pm that day. But her body wasn’t discovered for 72 hours. 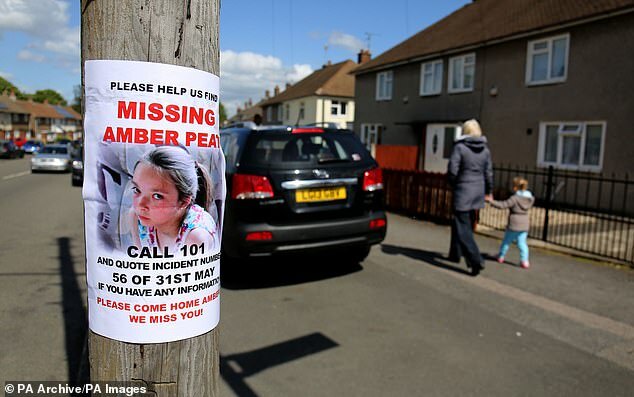 DC Gilfoyle said that while Amber was missing, police interviewed a ‘child witness’ who revealed how she had ‘been in trouble quite a lot’ during the half-term break. Miss Peat had also told teachers at her school she felt ‘very put upon’ and ‘had lots of jobs to do’ at home and that she felt her siblings had an easier life. Over the next month, Nottingham Coroner’s Court will probe the little girl’s life and the hours leading up to her death. The officer told the hearing: ‘There had been arguments and Amber had been prevented from going to the beach. ‘Together with a cousin she had written a ‘runaway list’ on a laptop. It was quite a childish list with a wig, torch and rope. The cousin thought it was a joke. ‘There had been an apparent incident in the car on the way home where Amber had taken some Cherryade without asking and had been scowling at Danny Peat, and had been told to sit in the back of the Zafira. ‘Danny Peat said if she scowled at him again he was going to hit her. ‘She (the witness) said Amber was only allowed sandwiches and not nice things as a result of her behaviour, because she had been misbehaving and cheeky. ‘As a punishment when she got home she had to clean the car out herself. 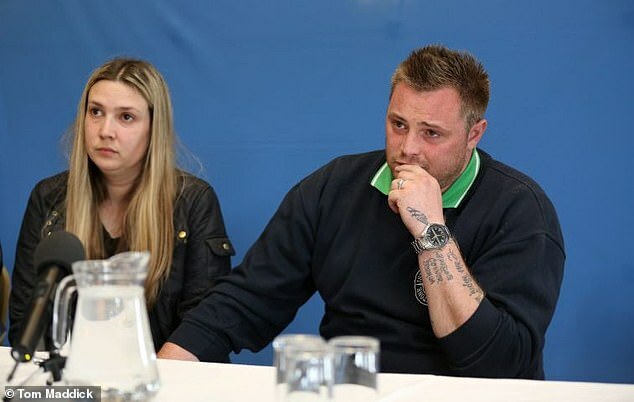 ‘The family then go about their business, picking up pets and the like, and they, according to the child witness, go to Danny Peat’s mum’s home, and Amber is told to sit on a chair in the corner and told not to talk to them. ‘They eventually go home and Amber is told to clean the cool box out that they had their sandwiches in. She was not happy about it and objected to it. ‘She is reported as complaining and trying to get her mum’s attention, and so her mum shuts the door, leaving Amber alone in the hallway. A short while later the door slams and Amber is gone. The court also heard from Joanna Holt, Amber’s Year 6 teacher at John Davies Primary School in Tibshelf, Derbys, which she attended three years before she died when the family lived in the village. She told how Amber was ‘quite an unhappy child’ with a ‘sad face’ who usually preferred to be alone and was often at the centre of disagreements with other pupils. Asked by assistant coroner Laurinda Bower if she knew why Amber was unhappy, Mrs Holt said: ‘She felt very put upon at home. ‘She had lots of jobs to do that her siblings weren’t expected to do in the same way. ‘She did not feel she was treated fairly in comparison with her siblings. She felt her siblings got away with things and she would be passed the blame at times. ‘She told me she felt her mum loved her sister more than she loved Amber, and her sister was favourite. She was always in trouble despite her sister being naughtier. Mrs Holt added that there were occasions when she tried to discuss the issues with Kelly, but that she ‘did not really get much response’, and ‘did not feel that anything was acted upon or acknowledged that there was a problem’. Mr and Mrs Holt married in May 2013 and Amber, whose surname was changed to Peat by deed poll afterwards, acted as a bridesmaid. 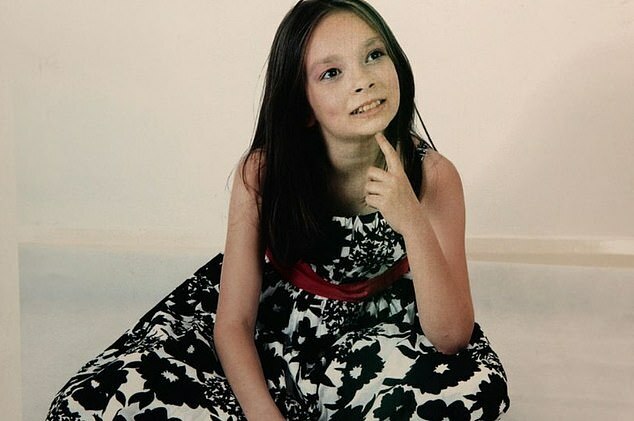 The inquest also heard how Amber had moved 11 times in her short life, and been registered with six GPs. There was no social service involvement with the family, but ‘historical assessments’ had taken place. Amber’s mother and natural father, Adrian Cook, never married and separated when Amber was a young child. At the time of her death, she hadn’t seen Mr Cook for around two years. Earlier, pathologist Dr Frances Hollingbury told the hearing that she was satisfied Amber had died as a result of hanging. Mr Cook has said she asked social services to live with him in the months prior to her death. The inquest, which is being held at Nottingham Council House and is expected to last around a month, continues.